Everything was closed in the city but lucky for us this was open. Food and drink was very cheap, not the best but acceptable. I loved this pizza. We couldn't find a place to eat so stumbled into this place and it was wonderful! 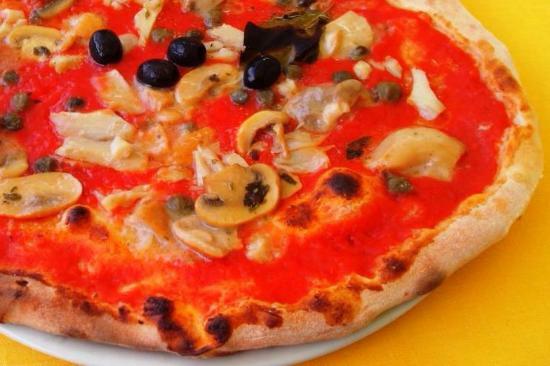 The pizza was the freshest tasting and the most flavorful than any we had during our entire one month stay in Italy. They only do pizza here , but they are amazing would recommend you must have one when visiting here. All made in front of you and made to order . Get quick answers from Pizzeria Ciao Ciao staff and past visitors.